Simon Says Clean and Simple! This week we are showcasing CAS-ual Fridays Products. You don’t have to use them for the challenge but if you have them we would love to see them used. 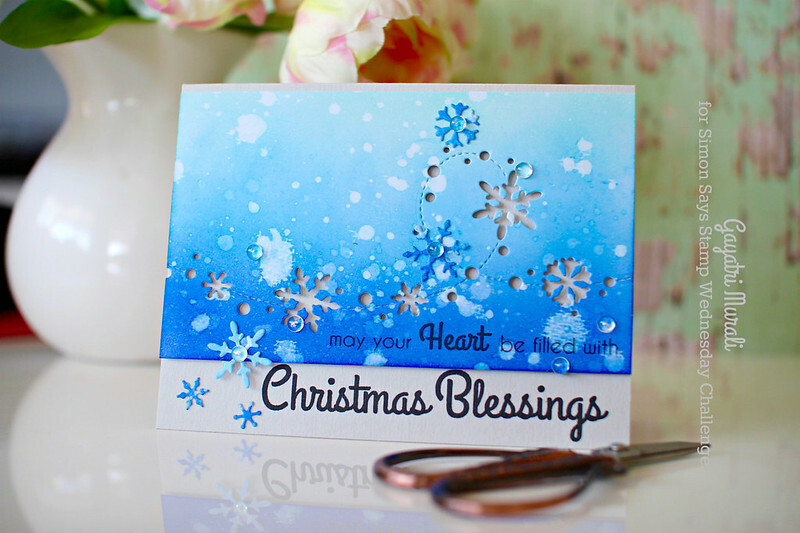 I have used Lovely Blessings stamp set from CAS-ual Fridays on my card. I love the bold font of the sentiments in this stamp set. To keep it simple and clean, I sponged distress inks Blueprint Sketch, Mermaid Lagoon and Salty Ocean on white card stock panel. I made some spatters with clean water for added texture. 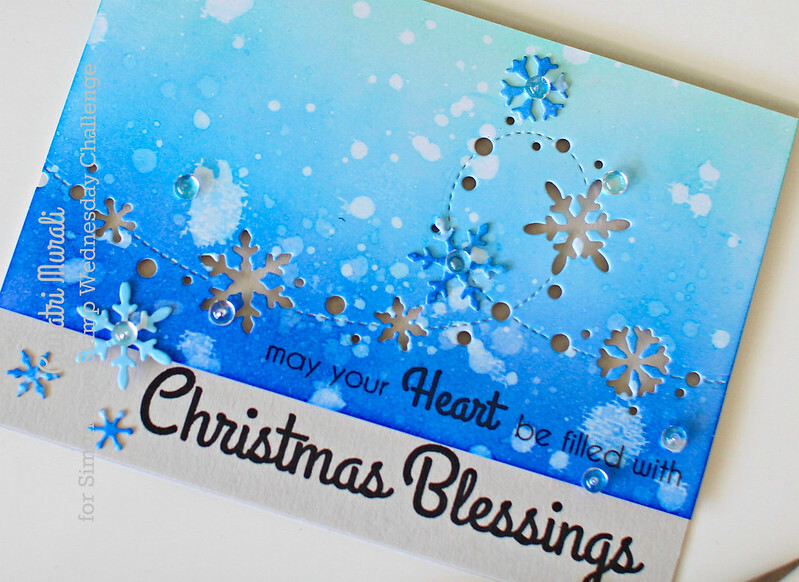 I then used Memory Box ‘s Snowdrift Breeze border die to die cut on the panel. 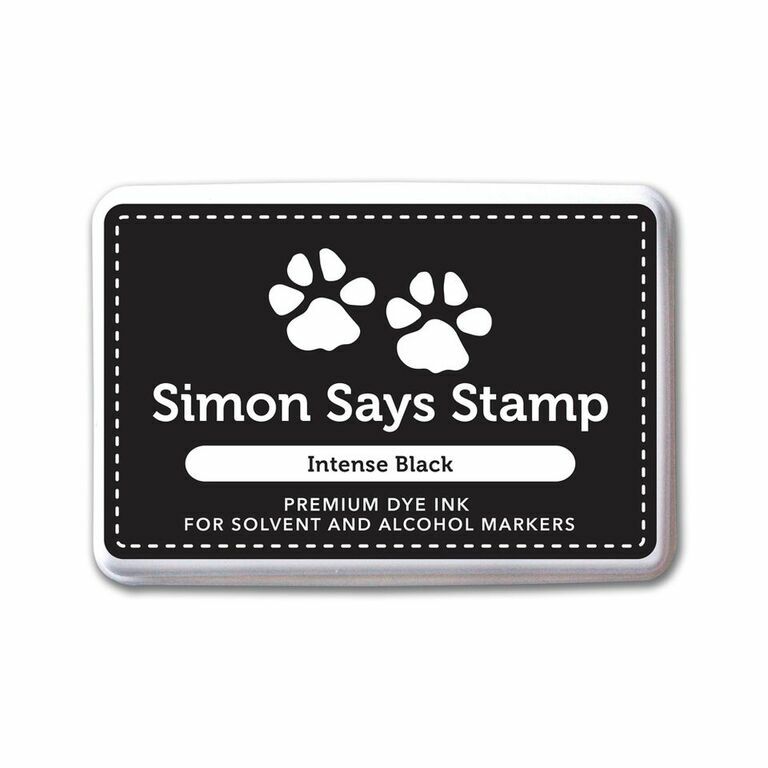 I stamped the smaller sentiment on the blue card panel and the larger sentiment on the bottom of the card base using Simon Says Stamp Intense Black Ink and MISTI. I then trimmed the panel and adhered on the card base using foam adhesives. I also used the snowflakes from the die cut to embellish along with Clear Droplets from Pretty Pink Posh. Your artistic talent is amazing! Thank you for the inspiration! I enjoy looking through your blog!